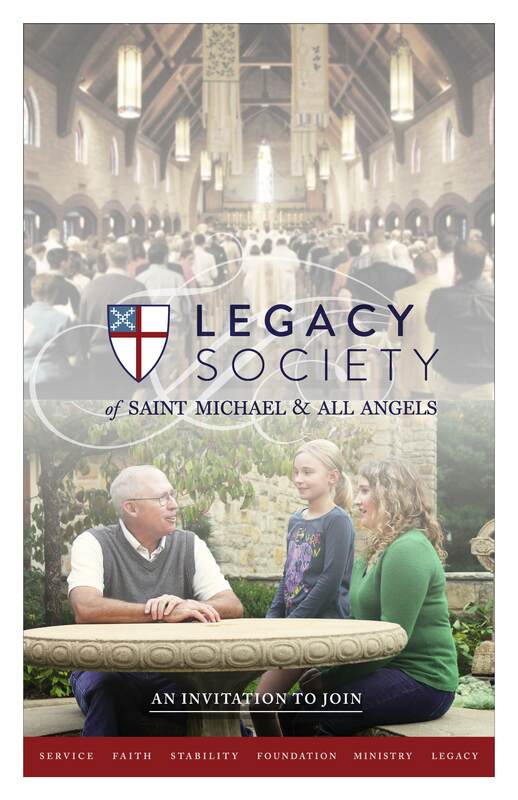 The Legacy Society recognizes parishioners who have remembered the church in their estate plans. As a matter of church policy, all bequests accrue to the Foundation. Planned giving need not be complicated or expensive. A planned gift may be made by designating St. Michael’s as a beneficiary of a life insurance policy or retirement plan, including the church in your will or trust, or making a gift of appreciated assets. Every planned gift — a specific dollar amount, a percentage of total assets, or the residual estate — is a statement of faith and thanksgiving. If you have already remembered the church in your estate plans, thank you! If you are interested in completing an enrollment form, contact the church office. We are grateful for your contributions and would love to celebrate your vision and generosity. If you need more information, please contact the Church Office at 913.236.8600 or contact David Hanzlick. The Foundation will be happy to assist you and your financial advisors in planning your gift. Please contact David Hanzlick for information about the Legacy Society.